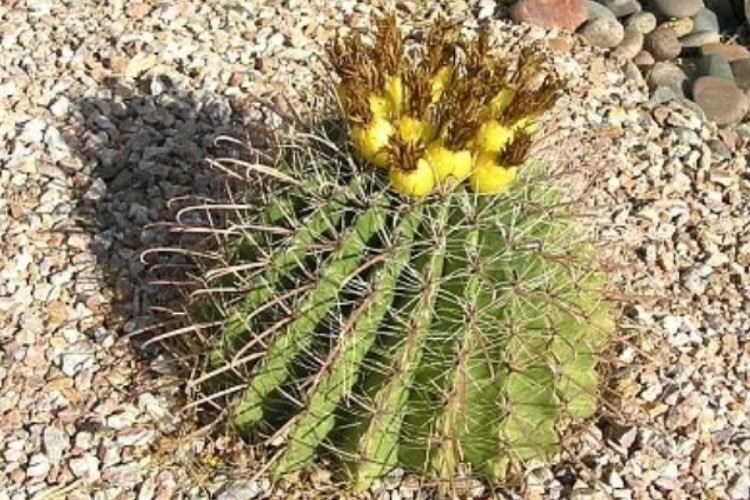 Comments: The fishhook barrel cactus is recognized by its large, curved, hooked, central spine and barreled body. Flowers may vary from yellow to orange and to red, with orange being the most common. Fruit is edible and wildlife find it most deisrable.